This will be my last post for now on the beautiful Buenos Aires... The trip seems so long ago – even though it's only been about three weeks. That's what going back to work does to you! Anyway, in my last post I mentioned there was one more shop I wanted to profile and I really think it deserves a post all of its own. I was feeling a little dispirited after spending the morning trundling all over BA finding handcrafts that weren't such fabulous quality. I found myself just north of Palermo, so I decided to visit elementos argentinos as their website had looked very promising. Hello, textile nirvana! I could have spent all day in this shop, and as it was, even with shrink-wrapping one of my purchases, this place tipped my little suitcase to overflowing and I had to get a bigger one! 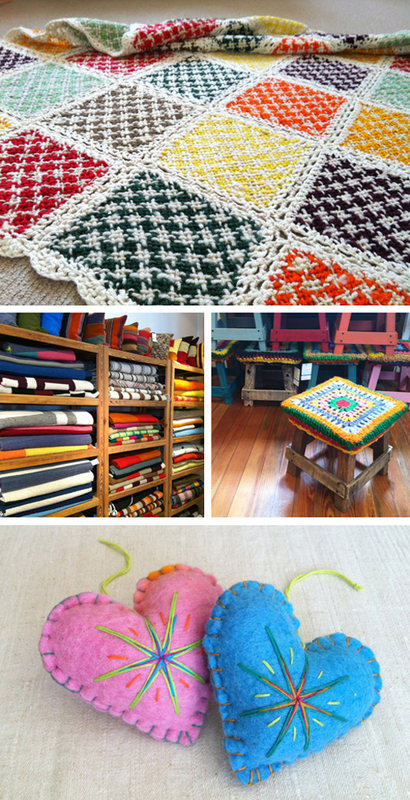 Elementos argentinos has a fair-trade agreement that links them to a team of 120 weavers and craftspeople in the north of Argentina to produce their beautiful rugs, throws, cushions and wraps. They have a selection of older pieces, some new work made to traditional designs with natural pigments such as yerba maté or beetroot juice, and a smaller group of their weavers, about 30 of them, who make up more modern designs done by the guys in the store, or to your own specifications. For those of you following me on Instragram, you will have seen some of these pics already, but I think they're worth seeing again! The shop had such a great range in all sorts of colours. 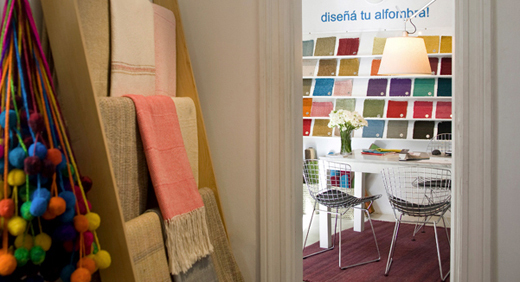 You can see some of the more natural colours in the wraps in the photo above, but through the doorway are the colour swatches they use when designing rugs or helping customers design their own. The guys in the store were very friendly and helpful too. I lost count of the number of floor rugs (although they'd more traditionally be used on the bed) I asked to be shown, and they kept pulling them off the shelves to spread out on the floor for me. The traditional ones are done on smaller looms, so to make them larger there is a join down the middle. Those done to more modern designs are done on larger looms so there is no join. 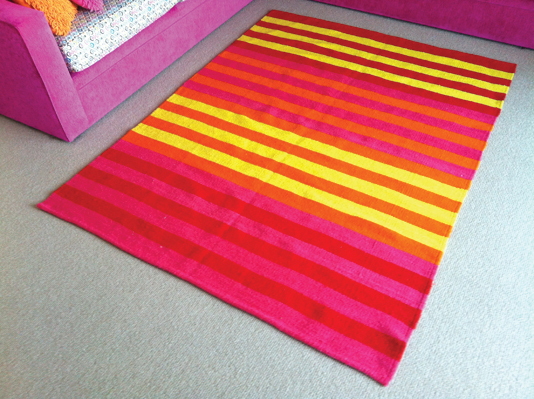 In the end the rug I brought home was one of the modern designs they'd had featured in a couple of Argentina's interiors magazines and it was hanging on the wall just inside the entrance to the shop. So that involved even more effort and a ladder to get it down! It was worth it though don't you think? So heh, do you wear sunglasses inside now? I just need to find a space to put it now!